Reichmann GmbH. has been providing "state of the art" ski and snowboard tuning and grinding machines. A German company, rich in technical design and innovation, Reichmann produces some of the finest tuning machines available today. They also design and supply casting finishers, polishers and a wide variety of custom cutoff and surface grinding machinery for such distinguished companies as BMW and Mercedes Benz. If you have not had the opportunity to get acquainted with these superior tuning machines, please let us know. We will be glad to discuss all of your back shop machinery needs from hot belt waxers, to total state of the art robotics and automation. A full line of repair and replacement parts and filters are available by calling our customer service line 1-800-758-8857. 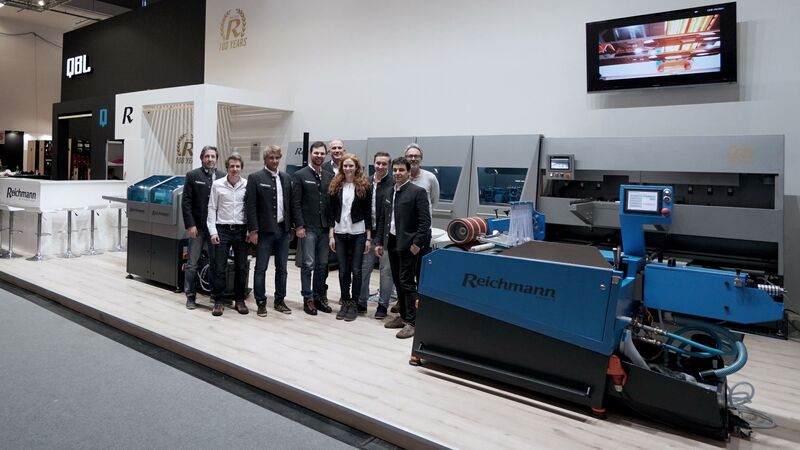 The Reichmann Company has a demo facility in Germany that allows all the business owners to come and demo the machines before buying them. Sun Valley Ski Tools is working with Reichmann to create a facility like that in the US. Where US shop owners can come to see and use the machines first hand. We are confident that once a shop owner is able to get his/her hands on the Reichmann Machines they will see the superior quality and durability. Reichmann is very well known in Europe and has distributors in nearly every European country. SVST and Reichmann teamed because both companies have developed high quality products that continue to set the standard in the ski industry. So the Reichmann Company is still growing and getting it's name out into the US market. Stefan Reichmann as president of the company makes regular trips to the US in order to personally meet with shops looking to buy machines, he is dedicated to the superior quality of Reichmann Machines in the US.